Small things to help the planet. 1. 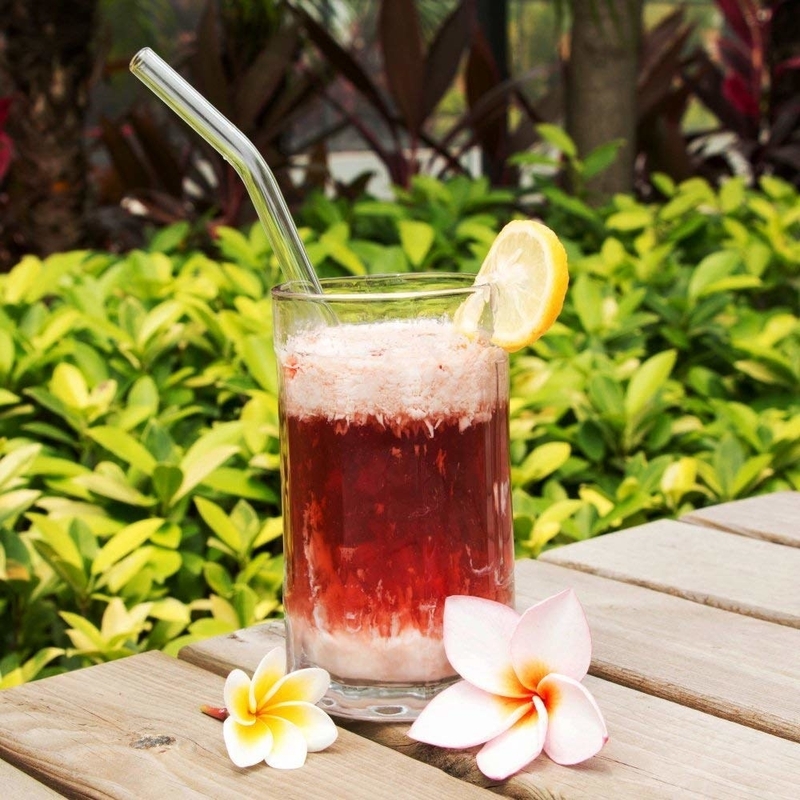 A set of glass straws — if you currently use plastic ones, just think of how many you'll be able to replace when you upgrade to these beauties. These come with a brush for easy cleaning. Get the set of four on Amazon for $7.99. 2. 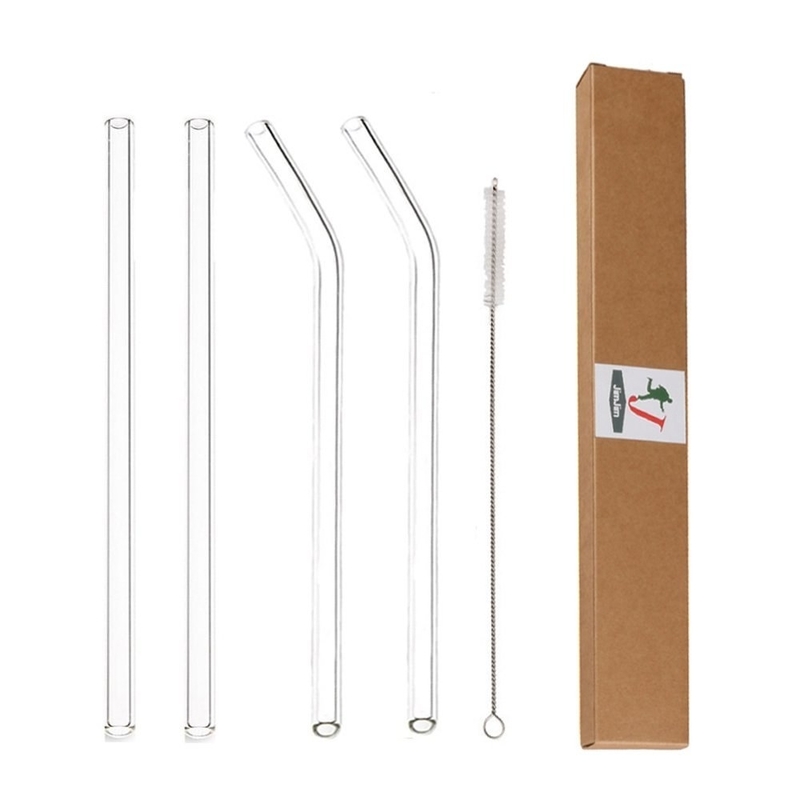 Or a set of stainless steel straws great for stashing in your purse or backpack so you can always refuse a plastic one at the restaurant or movie theater. 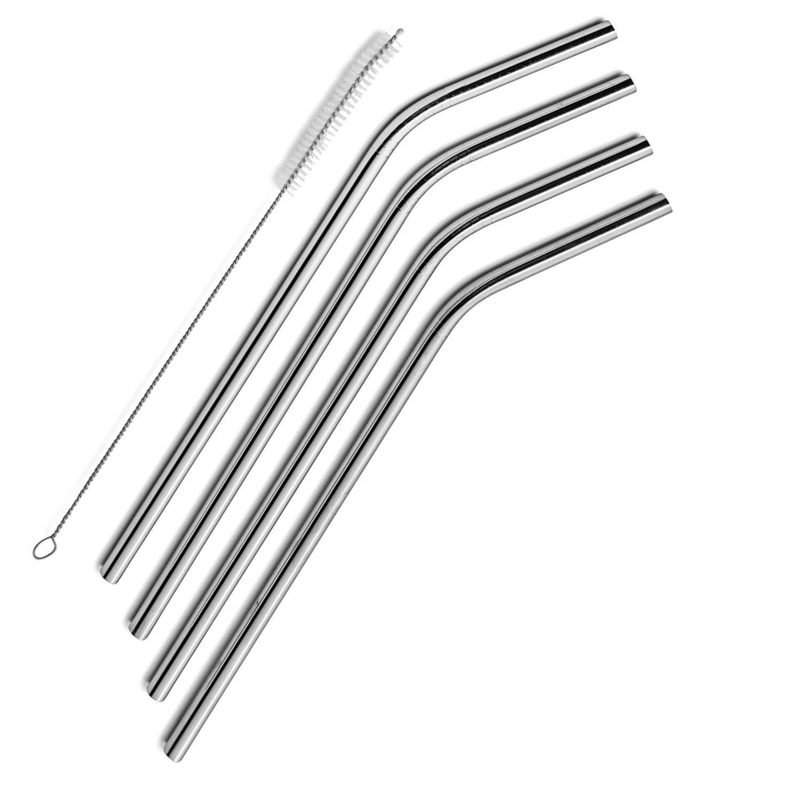 These are extra long so you can use them with your favorite travel tumbler or fit 'em in a large soda. Get the pack of four on Amazon for $4.99. 3. 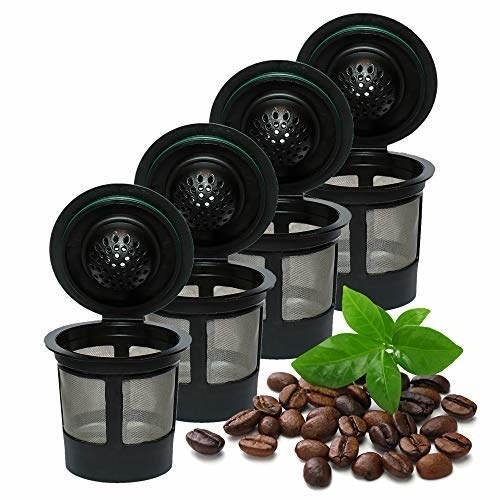 A pack of three reusable plastic K-cups that, besides just saving plastic, will also save you lots of money because you don't have to keep buying the refills. Instead, all you do is fill these with your favorite ground coffee, rinse 'em after brewing, and repeat. Get the pack of four on Amazon for $9.95. 4. A small snack-size reusable bag, so you can get all the functionality of a regular plastic bag with none of the waste. I've personally had a couple of these for a few years now, and they're still holding up perfectly well! And I run them through the top rack of the dishwasher all the time. Promising review: "I've tried a LOT of reusable bags as there are a lot of options out there all using a variety of materials. The fabric ones get gross over time. The vinyl ones are hard to clean and aren't usually dishwasher safe. 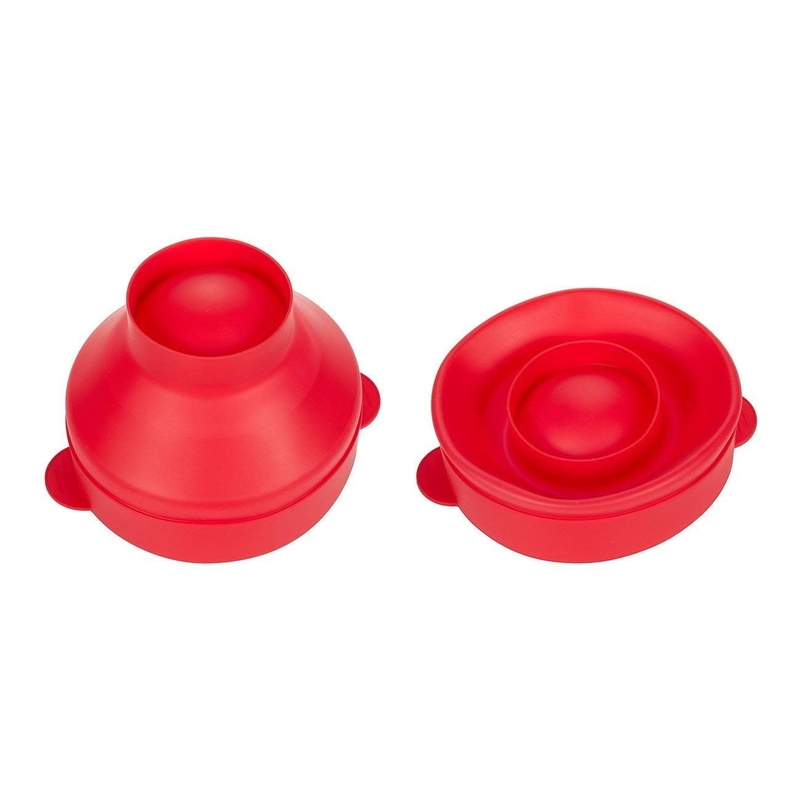 There are other silicone ones that need a separate rod to close them that you can easily lose. This one is the most simple and easy to use. No separate pieces. Can withstand any temperature/microwave/dishwasher/whatever. And if they get gunky they are very easy to clean and I trust that they aren't hiding gross crumbs in any of the crevices." —Megan A. Get one from Amazon for $9.99 (larger styles also available, for more than $10). 5. 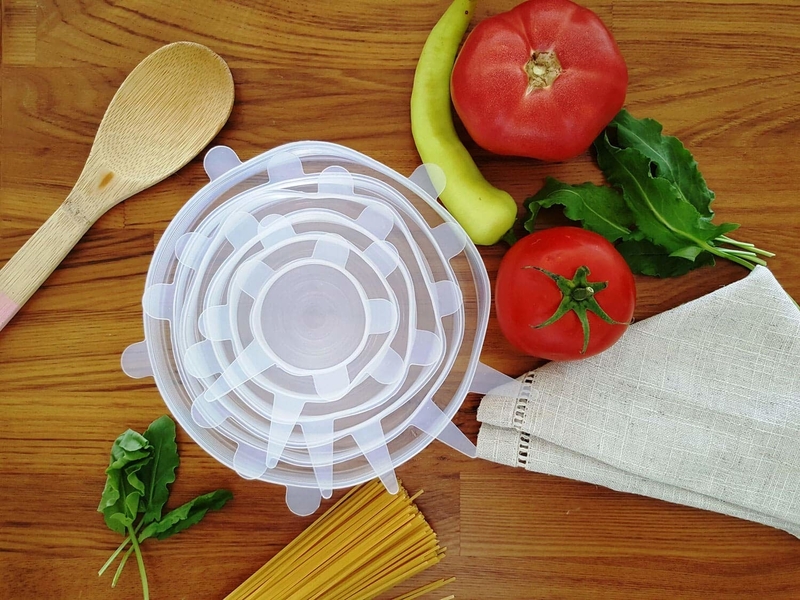 And some silicone lids that stretch to fit over all shapes and sizes of dishes, replacing a bunch of plastic wrap and foil with something reusable, flexible, and just plain useful. Naturally, they're top-rack dishwasher safe. 6. 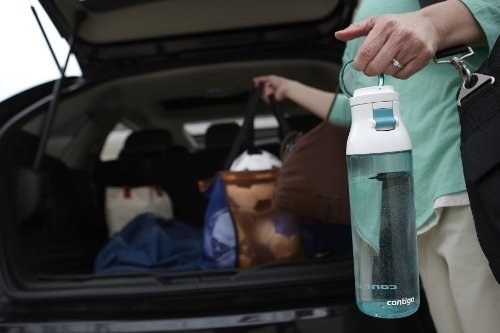 A basic reusable water bottle if you don't have one already, because just think of how many single-use plastic bottles it could replace in its lifetime! 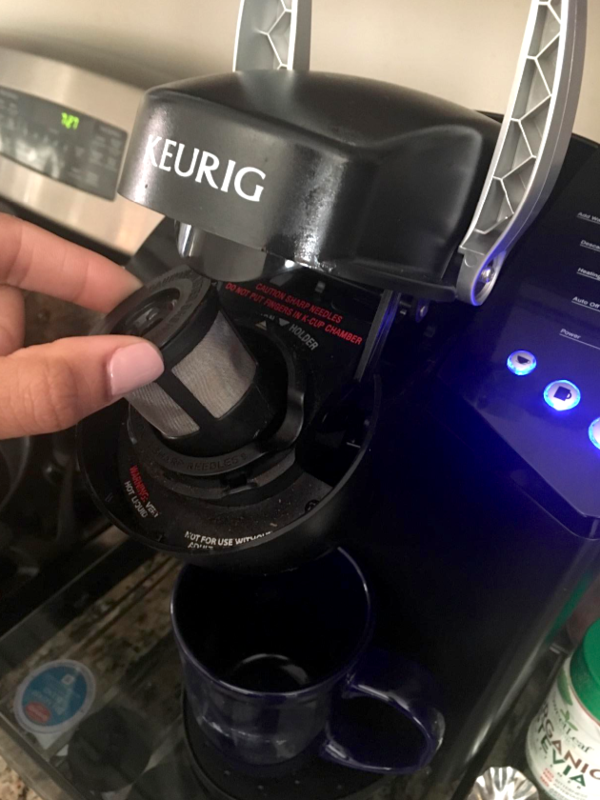 It's leakproof flip-top cap is both easy to drink from and easy to clean — no terrible nooks and crannies where mold might start to lurk. Of course, it's top rack dishwasher safe, too. Get it from Amazon for $6.99 (four colors). 7. 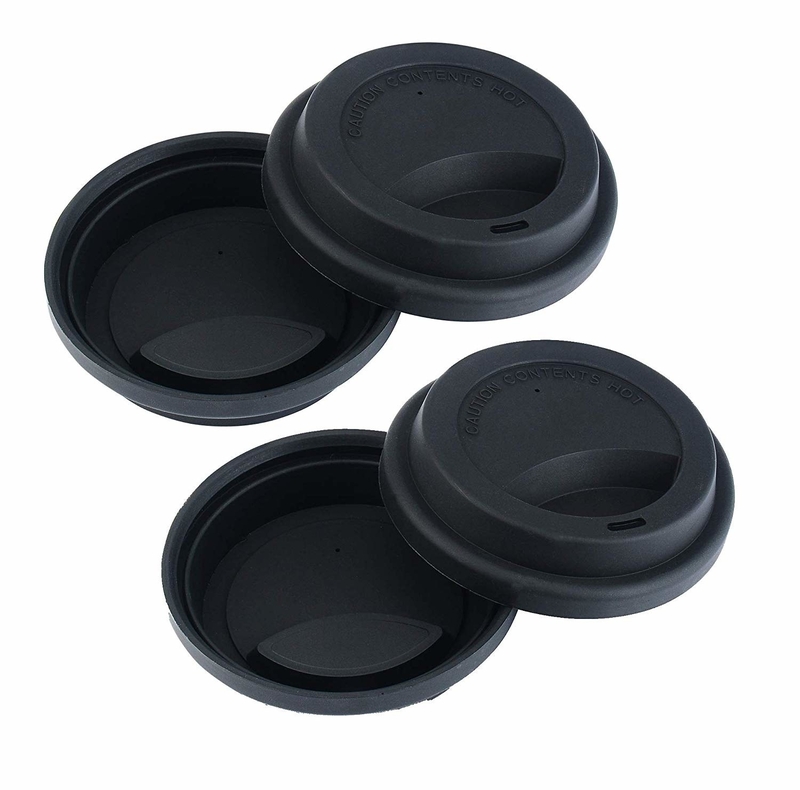 A pack of four silicone lids to cap off your daily medium-sized coffee from your favorite barista. 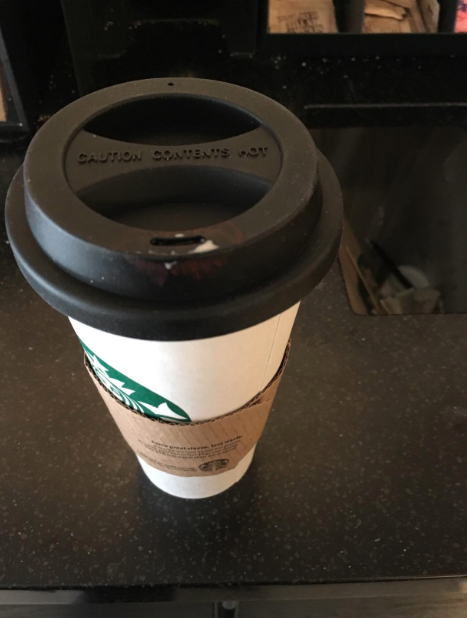 Or to replace a lost lid on your ceramic coffee to-go cup! 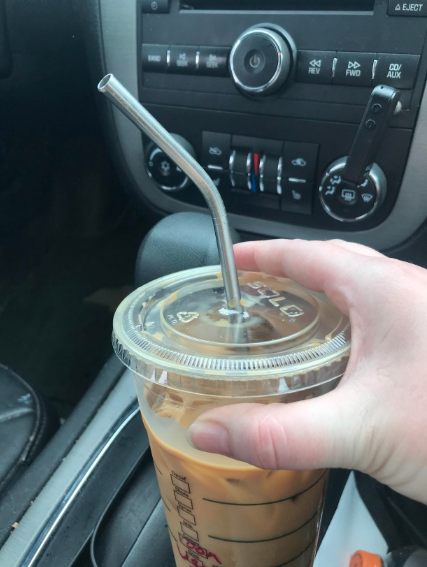 They're completely reusable and designed to fit 16-ounce cups (aka a medium/Grande at Starbucks). Get the pack of four on Amazon for $7.99. 8. 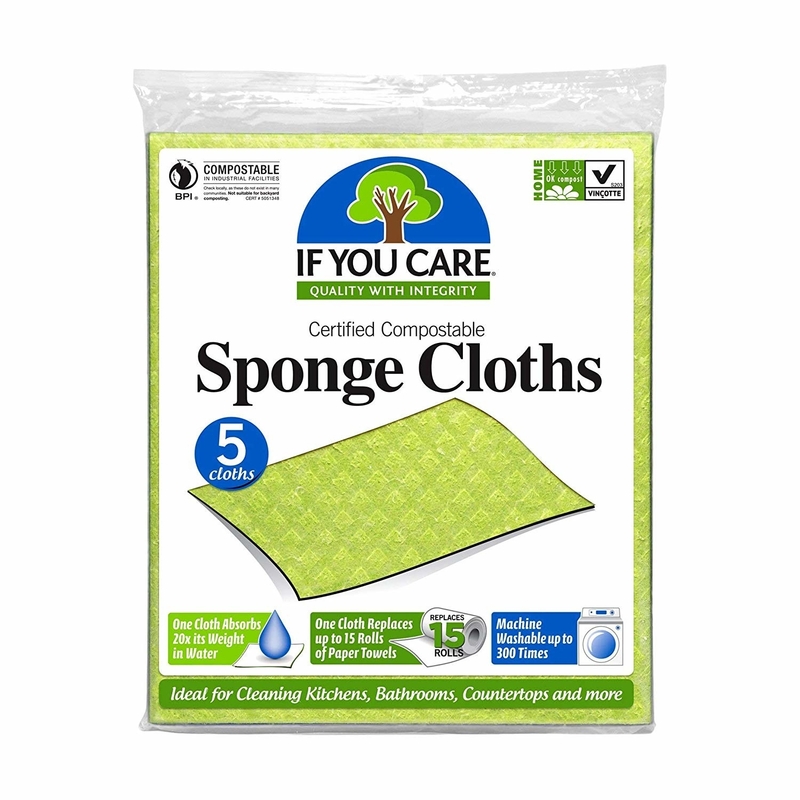 A pack of six scrubbing sponges that are 100% compostable and biodegradable, unlike that regular brightly-colored sponge you've been using for years. Each one will last a just week or two, but that's about how long you're supposed to keep a sponge, anyway. Get the pack of six on Amazon for $9.75. 9. Some bamboo toothbrushes so you can shine up your smile without contributing yet another big piece of plastic to your local landfill. 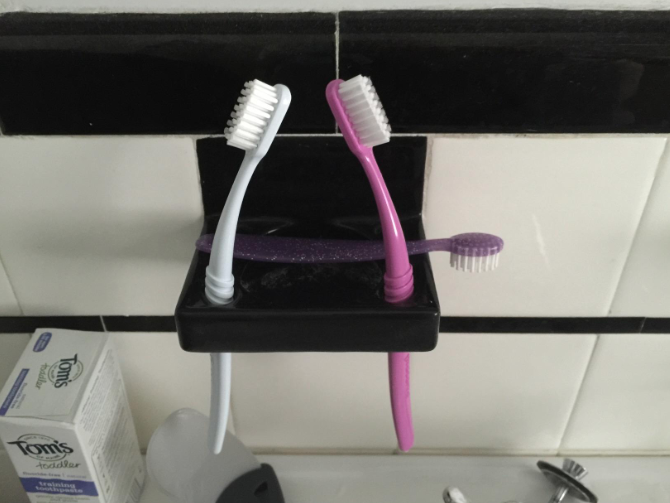 The handles are completely biodegradable, though you do have to pull out and toss the nylon bristles at the end of its life. Also, four brushes = technically a year's supply, if you replace every three months. Get them on Amazon for $10.97 (or about $2.74 per brush). 10. 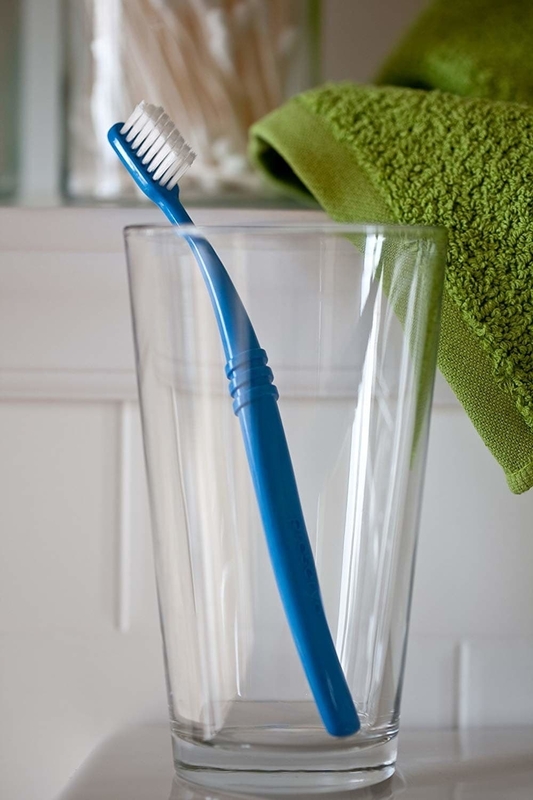 Or these toothbrushes — they're made of 100% recycled plastic *and* you can mail them in after you're finished using them to be recycled again. You can also just simply drop them off at certain Whole Foods locations, depending on where you live! Here's all the take-back and recycling info. Get a pack of six on Amazon for $19.07 (about $3.18 per brush). 11. 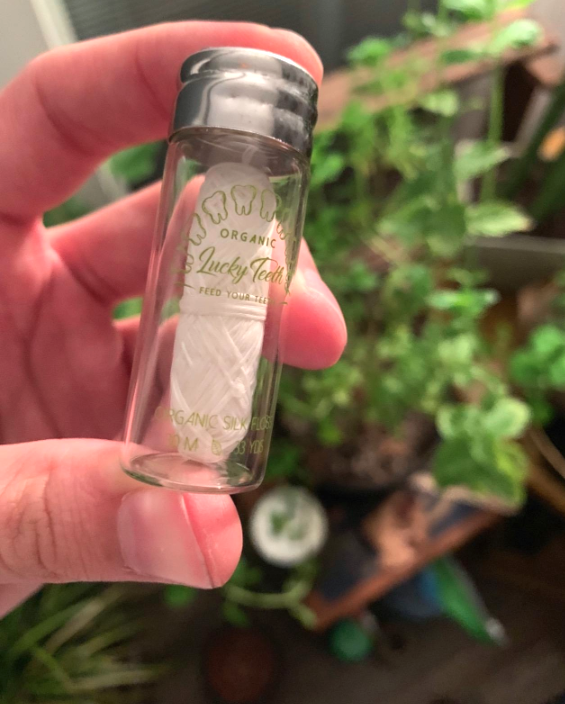 A vial of silk dental floss because, yes, that classic brand you've been buying from the store for years is just one long strand of plastic. It's 33-yard spool comes packaged in a recyclable, reusable glass container, with a recyclable box (some reviewers mention it does ship with some plastic packing materials, which...I guess your best hope there is to reuse or recycle them.) It's flavored with mint and tea tree essential oils. 12. 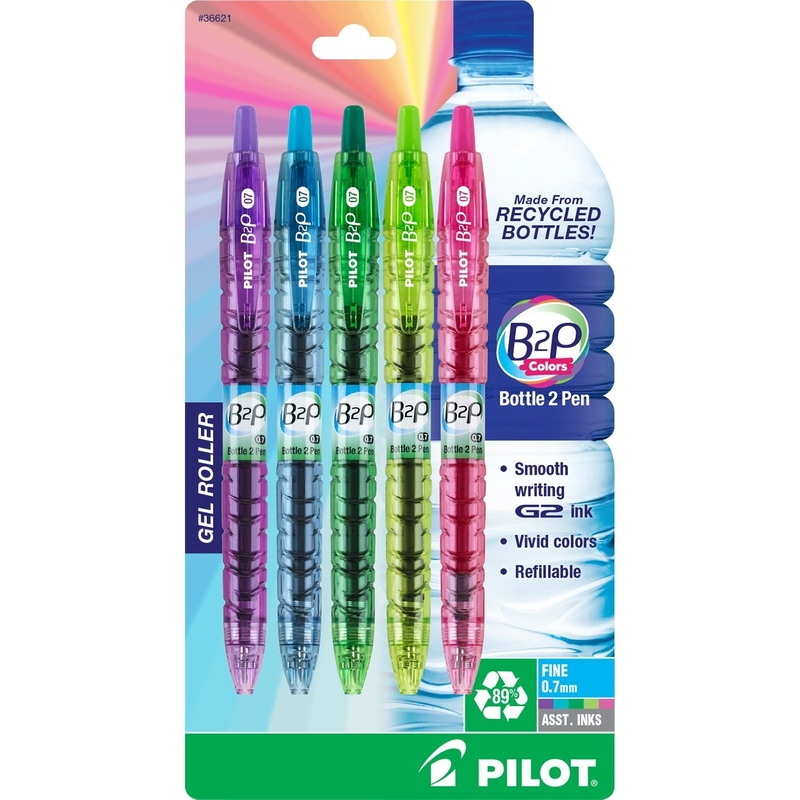 A pack of colorful pens that are manufactured with 89% post-consumer plastic — the success of the recycling industry all depends on economics, and choosing products like this helps in some small way to create the demand for more, well, recycling. And once you have 'em, you can always just buy ink refills, or recycle the pens without the ink. 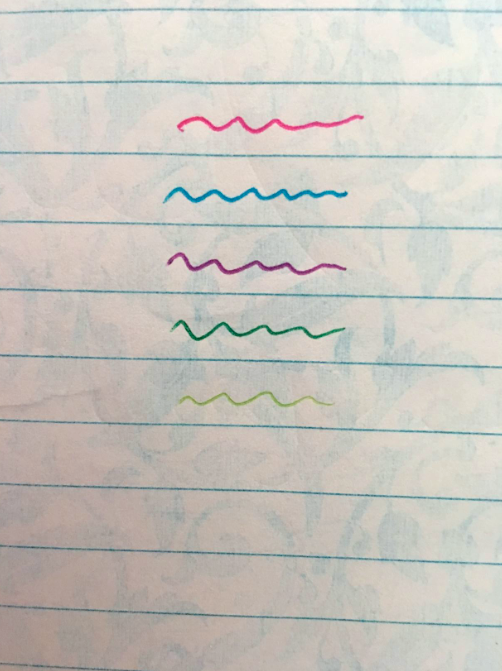 Get the pack of five pens on Amazon for $7.99. (More of a black ink person? Get a pack of 12 for $12.37, also on Amazon). 13. 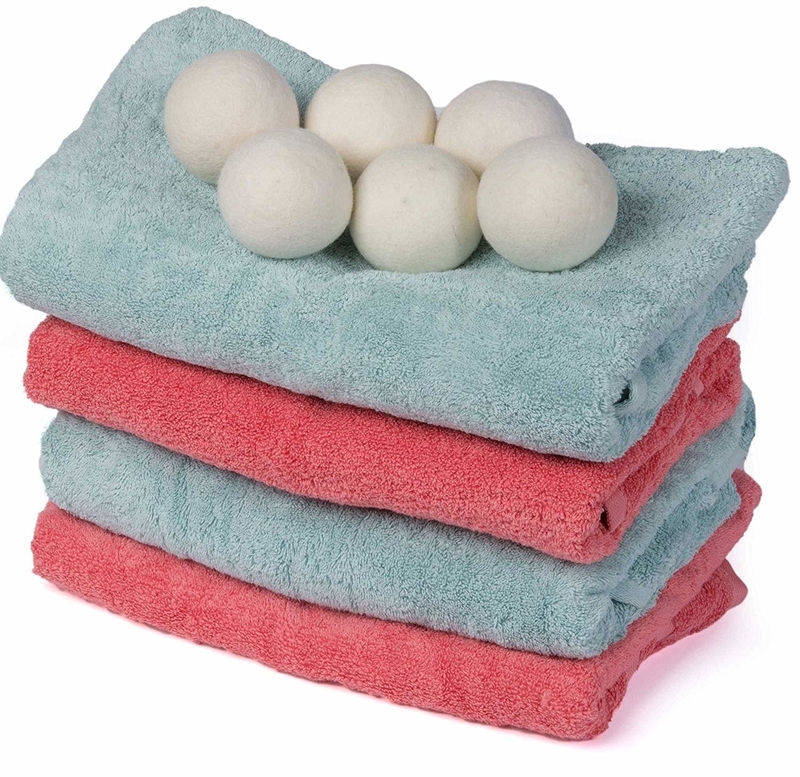 Six wool dryer balls so you can still soften your clothes *and* enjoy that clean laundry day smell, without tossing a polyester dryer sheet in the trash. Because they're 100% wool, you can theoretically compost them at the end of their life (though they should last for years — or at least 1000 loads!) 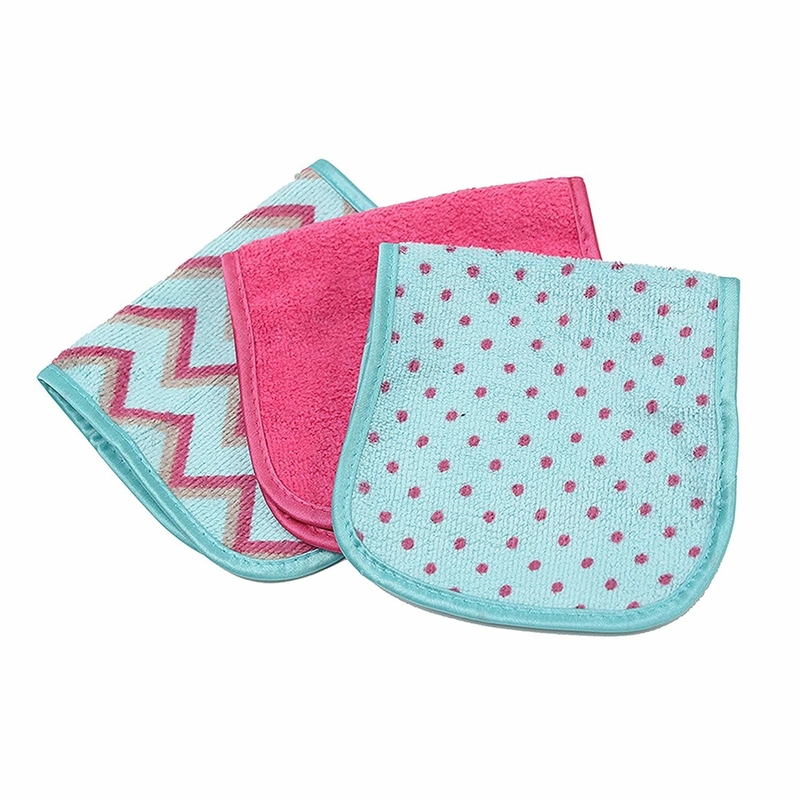 You can lightly scent them with a few drops of your favorite essential oils or even a fresh linen fragrance oil ($5.95). Promising review: "I've had these for several months now. I was previously using the plastic spiked balls, which were incredibly noisy and beat up the inside of my dryer. 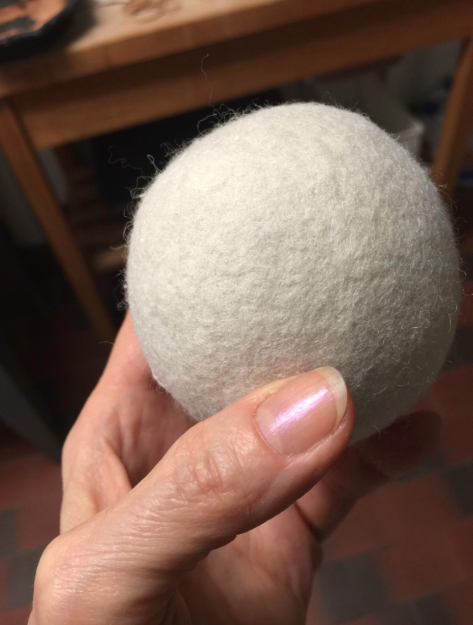 The wool balls are very quiet and have done a great job drying my clothes faster and reducing static. I have only had a couple of instances where there was a static problem. I used lavender essential oil on mine and enjoyed that scent. 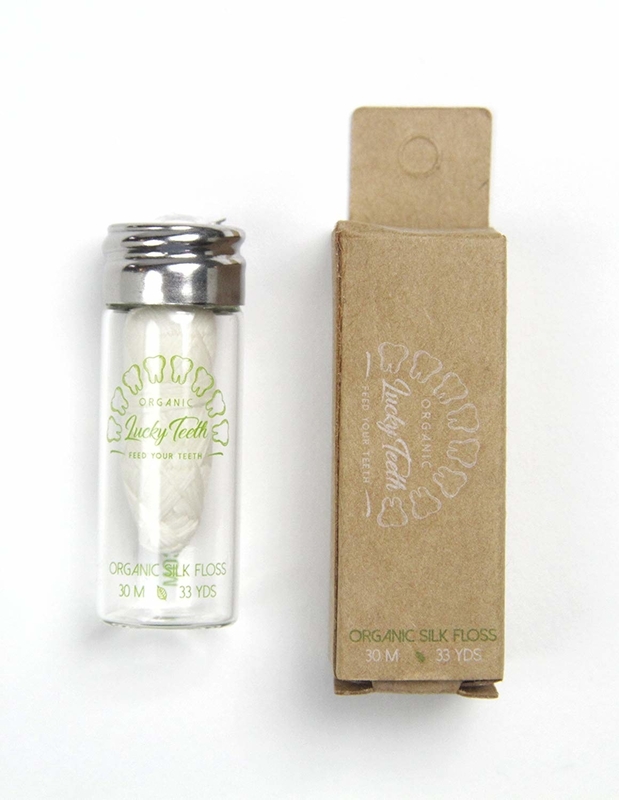 Don't get me wrong, I love the fragrance of the dryer sheets, but with the essential oil I don't miss it." —Cindy J. Get the pack of six on Amazon for $8.95. 14. A pack of two travel flatware sets (complete with their own protective pouches!) 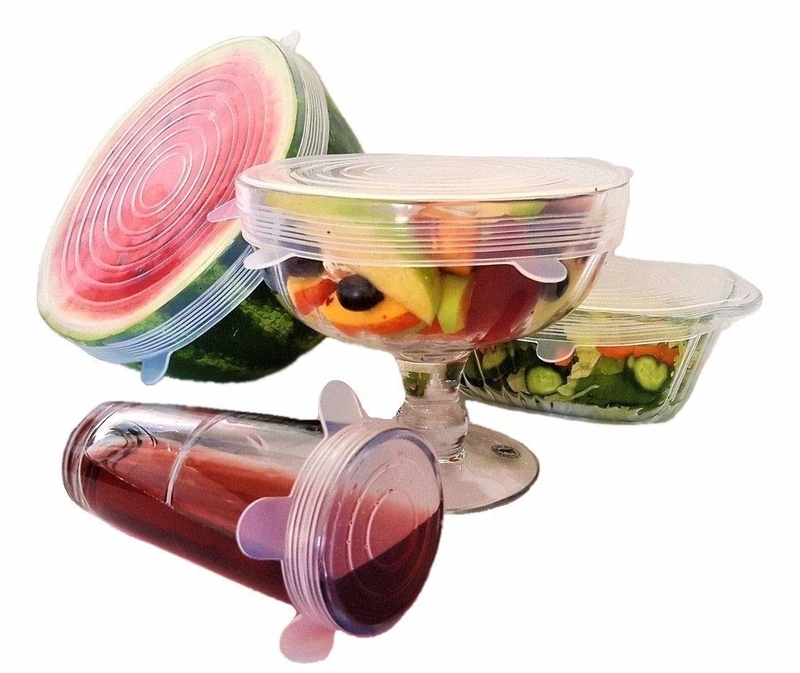 because there's no need to trash some disposable plasticware each and every time you eat lunch at work or a dinner at the airport. 15. 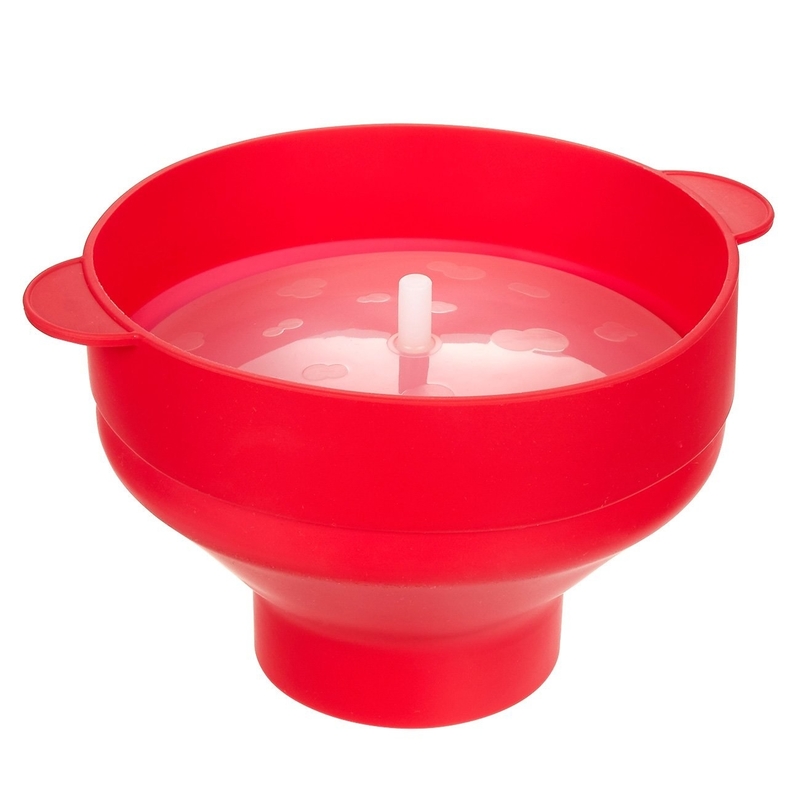 A collapsible silicone microwave popcorn maker perfect for movie night — just pour in some kernels, add a little (optional) oil, and two minutes later, you'll be stuffing delicious handfuls into your mouth. Think of all the little plastic wrappers around all the popcorn bags that you've tossed over the years: this can start replacing them each and every one of your future wrappers. And it's top-rack dishwasher safe, to boot. 16. 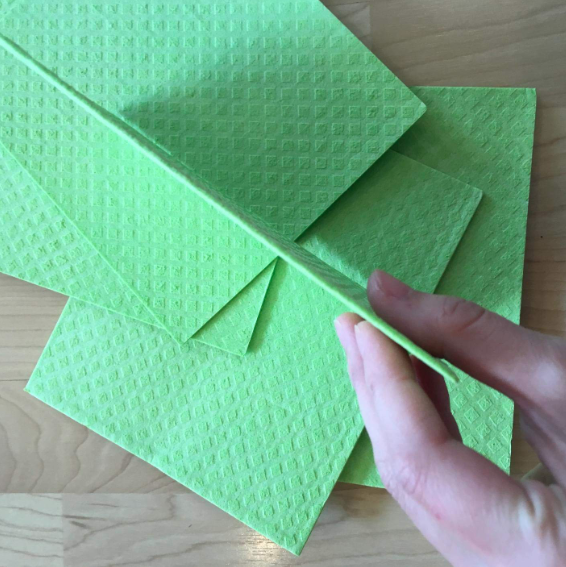 A few certified compostable sponge cloths that absorb 20 times their weight in water, making your days of endlessly replacing that empty roll of paper towels (where do they go so quickly?!) a thing of the past. Apparently one of these can replace up to 15 paper towels. They are packaged in plastic, but it's compostable; and when they get dirty, you can run them through the washer or dishwasher (just hang dry and skip the fabric softener). Get a pack of five on Amazon for $5.16. 17. 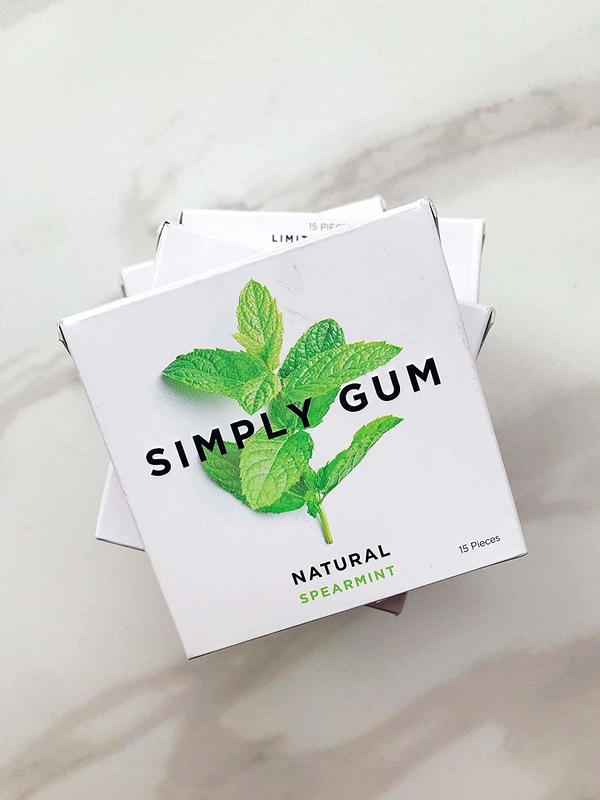 Minty gum made with a base of tree sap (aka chicle) — many regular brands mix plastic into their base — so you can chew 'til your heart's content, knowing it will be completely biodegrade when you're done with it. 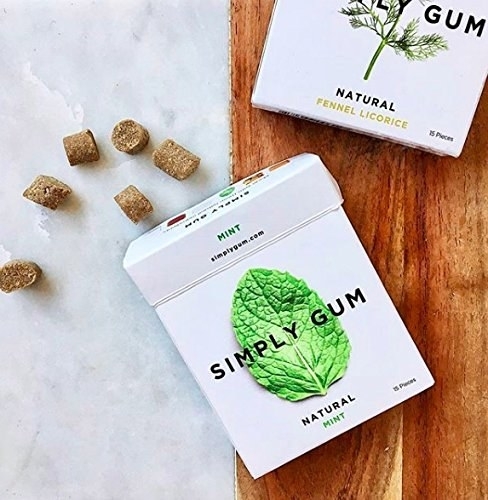 Sigh, I know, why must plastic make its way into gum!! Get six packs on Amazon for $14.90 (or about $2.49 per pack; 10 flavors available, plus two varieties of sampler packs). 18. 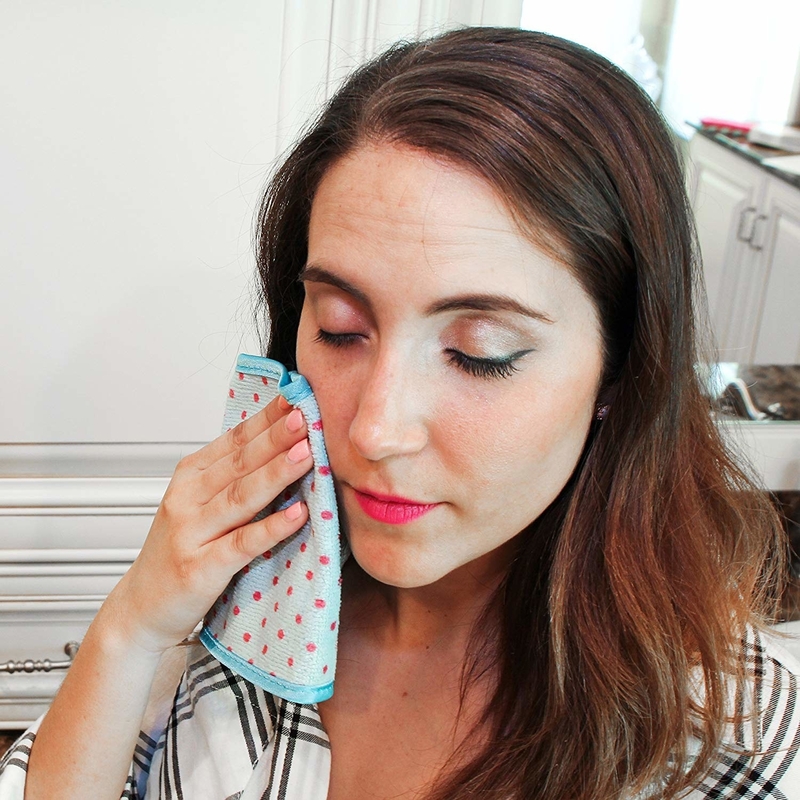 A pack of three makeup remover cloths that take every bit of product off with just water and a few swipes, letting you ditch those disposable wipes while still embracing your lazy side. Plus they'll save you money in the long run. And yeah, disposable wipes can and often do contain polyester and polypropylene (along with other more natural fibers), unless they're marked as compostable. Get the pack of three on Amazon for $2.97. 19. Of course, some reusable produce bags because they can completely eliminate those flimsy plastic store bags from your life basically forever. Get the pack of five on Amazon for $8.97. Granted, these are also made of plastic, just a more durable kind. 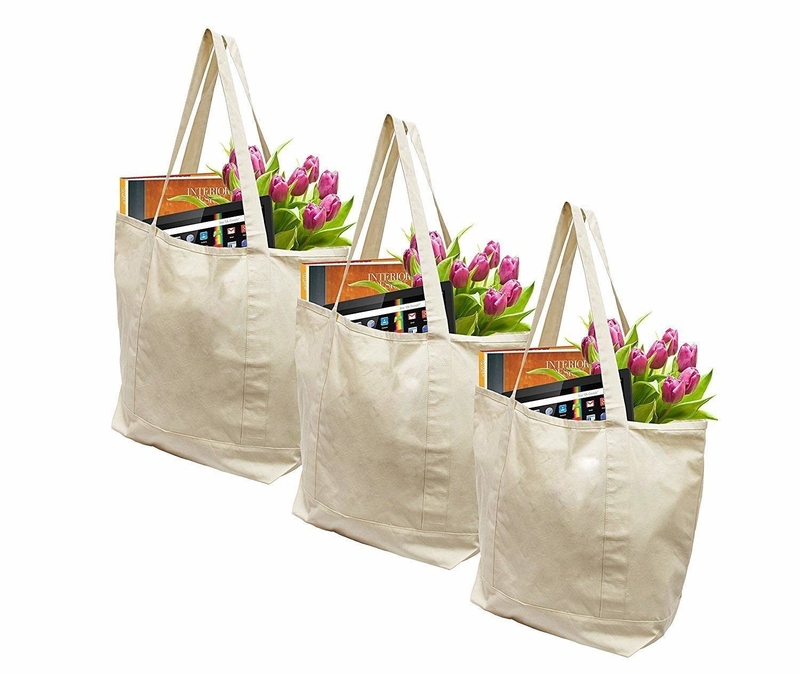 There aren't any available under $10, but you can get a set of six 100% cotton bags for $15.66. 20. And three extra-large cotton grocery bags, so if you don't have enough reusable shopping bags already, you can go with something incredibly functional. 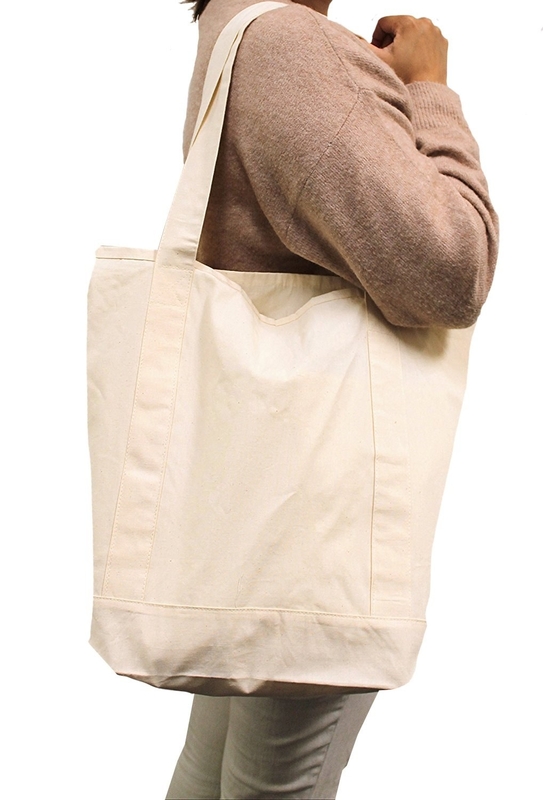 That's ultimately tough and theoretically biodegradable, unlike many other (plastic-based) tote bags out there. Get them on Amazon for $13.99 (about $6.99 per bag). If you're on the lookout for more super affordable or Earth-friendly products, check out some of these roundups!